Fall is just around the corner and there’s no way to stop it. Temperatures are going to start to drop and it’s important to prepare your house for cold weather. There are many things that need to be done to ensure your house stays in good condition all throughout the winter. Several of these things will also help you and your family to stay warmer as temperatures drop as well. It’s a good idea to start to think about these things before really cold weather sets in and it’s too late. 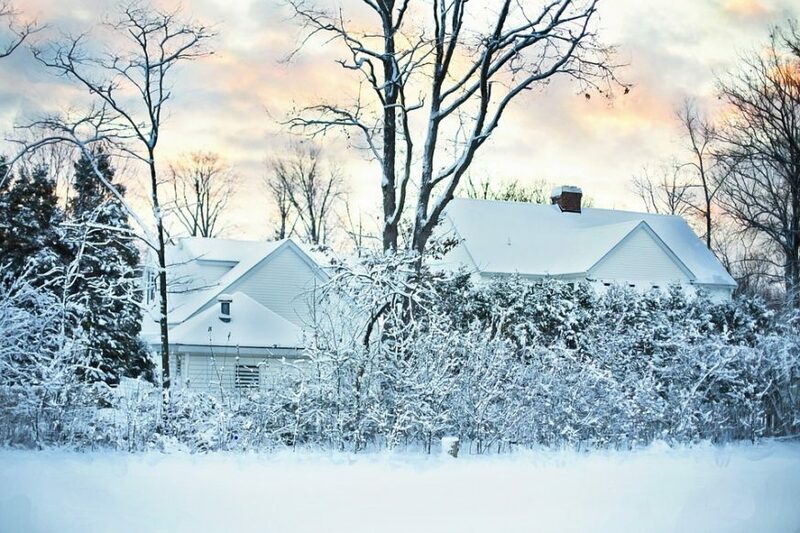 Now is the time to prepare your house for cold weather, here are four things you can do. Windows and doors are a good way to get some cool air in your house during the summer. However, they’re also a good way to let cold air in as the weather gets colder. That’s the last thing you want once temperatures start decreasing. Seal up your windows and doors so that they’re airtight and no cold air can create drafts inside your home. This is one of the most important things you can do to prepare your house for cold weather. Lawn tools are used frequently in the summer and are used less and less once fall approaches. Don’t let your nice lawn tools be exposed to cool weather and become damaged. Make sure you mowers, edgers, and tillers are cleaned and ready to be stored. Empty out the gas from gas powered tools so that it doesn’t degrade while it’s being stored. Find a nice, safe place for your tools to be stored away from any elements. You’ll be so glad you stored your power tools properly once Summer comes around again. Cooler weather means nice warm fires. Make sure that there aren’t any creatures or debris stuck in your chimney before you start getting toasty warm. The last thing you’d want is a blockage in your chimney that causes your whole house to fill up with smoke. Singeing a little critter isn’t ideal either. Have a professional clean your chimney if it looks really dirty. Pipes can freeze in cold weather. That’s a situation that no one wants to be in. Have your faucet barely on during extremely cold weather to prevent your pipes from freezing. Make sure that all of your hoses are wound up and put away so they don’t burst open from freezing. This will save you a lot of money when you want to use your hose again. Drain water from your sprinkler system to prevent them from breaking too. This is important to do when you prepare your house for cold weather because broken pipes can be really expensive to fix. The days are getting shorter and the weather is getting colder, as much as we hate to admit it. It’s time to start thinking about what you’re going to do to prepare your house for cold weather. Follow these tips to help your house be in the best condition possible as the weather gets colder.